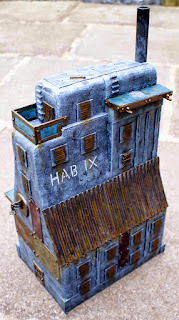 I made this hab block for Necromunda / 'Inquisimunda' six years ago(! 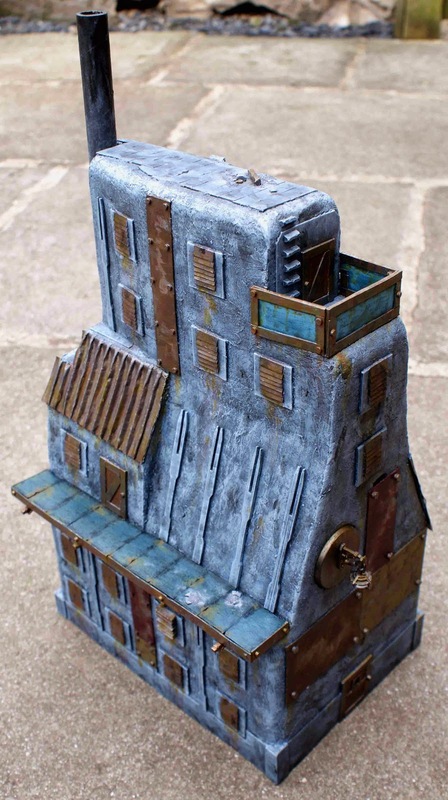 ), but have only just got round to finishing it. 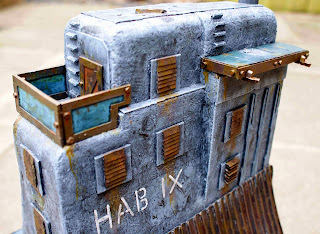 It was painted in basic colours, but I was never happy with the polystyrene surface, which spoiled the look. For this revamp I added some decorative ribs using wooden cocktail forks, & textured the exposed polystyrene with filler to give a look of 'plascrete'. 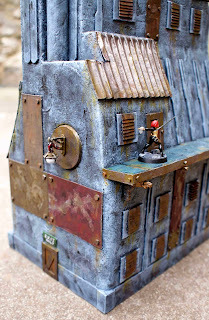 I then repainted the whole building, which has taken a lot of time over the past week. 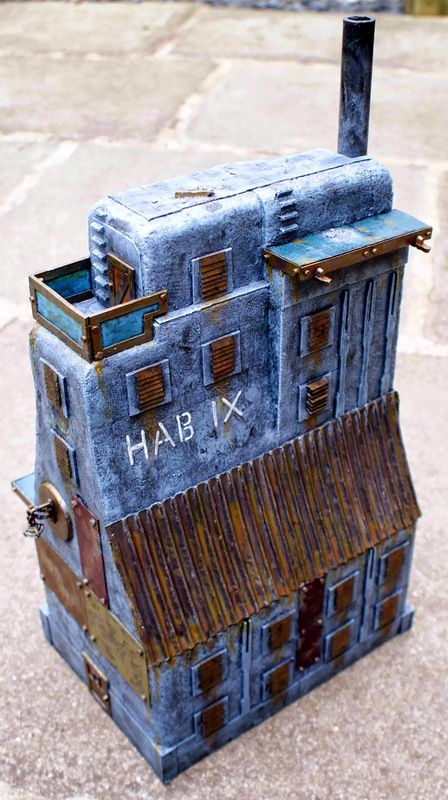 As can be seen in the photo under the break below, the building is constructed of two sections of polystyrene (I think corners from dishwasher/washing machine packaging), detailed using craft card, sections trimmed from plastic sprues, an inner tube from a roll of tin foil, a few pieces from a Games Workshop Imperial Sector building pack (eagle supports & lamps), & corrugated card. I made sure to include plenty of walkways on the handy ledges, to make this otherwise LOS-blocking hulk useful in games of Necromunda. wow 6 years in the lead pile!!!! 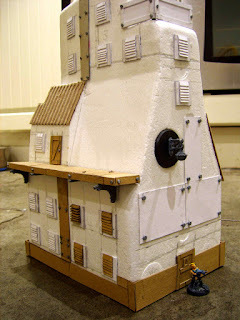 Glad you got round to finishing it as it looks brill! Cheers, I think the effort & delay was worth it in the end!